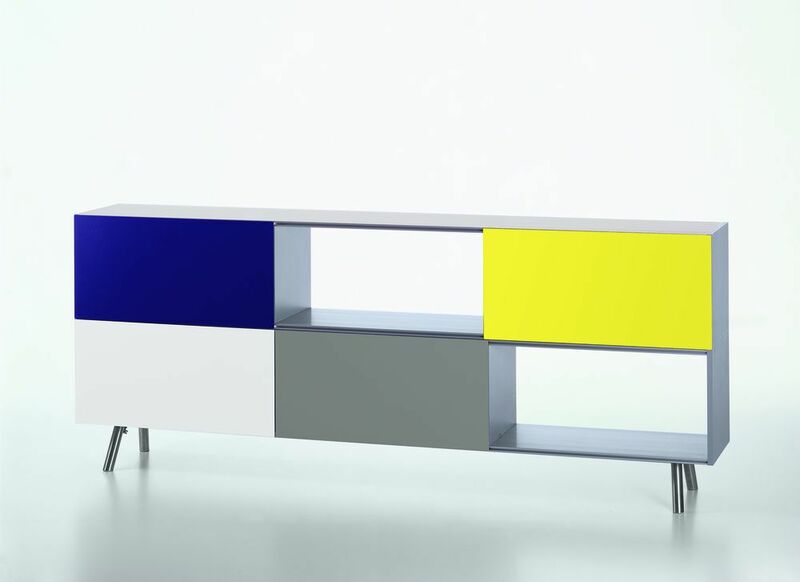 Designer Maarten Van Severen placed special emphasis on the colours of the sliding doors when developing Kast. These emphasize the harmonious proportions of the storage unit and give it a fresh and optimistic look. The two-module version of the Kast unit features high-quality materials and plenty of useful storage space. Tubular stainless steel, individually‚ height-adjustable.